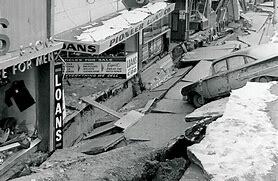 Alaska 1964 Earthquake Stories - powerful accounts from survivors of the 9.2, Good Friday March 27, earthquake that shook Alaska for 5 minutes. Do you appreciate these stories? 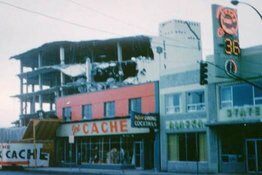 Do You Have A Story About the 1964 Earthquake? This picture shows the huge concrete slabs that fell off the JC Penney building and came crashing down on the street below, crushing cars. It felt like it would never stop. And when it was over we learned that it was a magnitude 9.2 earthquake that had lasted 5 minutes. And it was the most powerful earthquake ever recorded in north America. 139 people lost their lives, and the tsunamis that followed hit British Columbia, Washington, Oregon and Northern California. 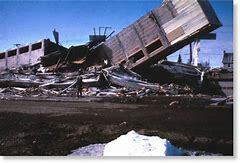 It's often called, the Great Alaskan Earthquake. The haunting picture above looks more like a ghost town than 4th Avenue in Anchorage. 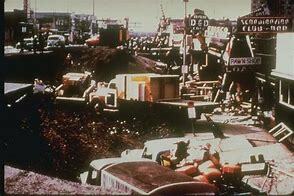 And this picture is a powerful reminder of the incredible destruction our town endured. 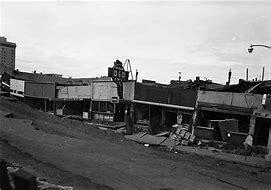 For those of us who lived in Anchorage when the quake struck, the picture above is where many of us walked along the sidewalk, or stood to watch our winter carnival, the Fur Rendezvous and the many events that took place on 4th Avenue. Looking at the picture above, it's hard to believe that Anchorage's 4th Avenue was brought back to life and is a thriving part of today's Anchorage life. 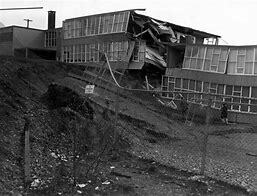 These Alaska 1964 Earthquake Stories were all written by actual survivors of this horrible earthquake. 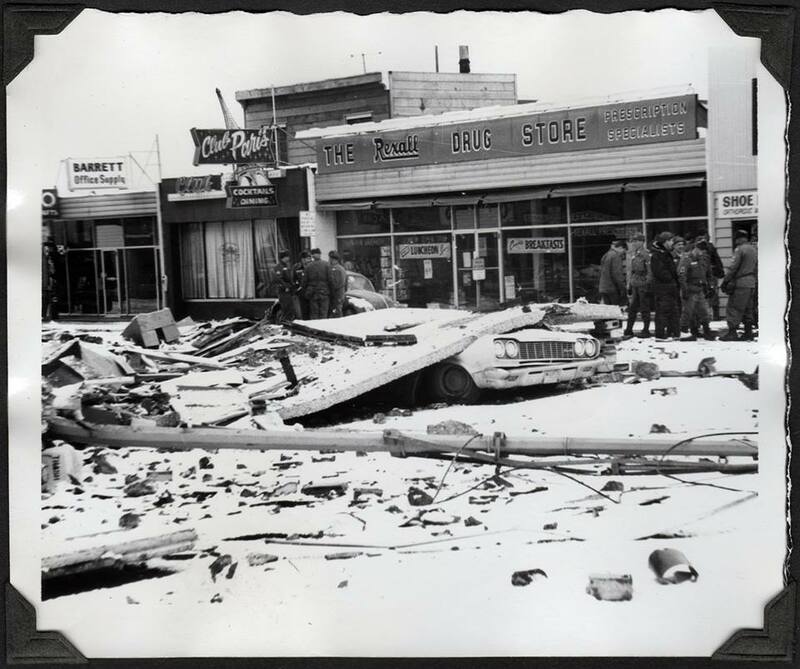 While Anchorage and Alaska in general, has it's share of quakes, the one on Good Friday, 1964 was much more intense and destructive than others - before or sense. And those who experienced the terror and devastation first hand, still vividly recall their experiences to this day - and always will. As you read the stories above, one of the first things you'll discover is the incredible variety of amazing things each one saw and experienced. You'll also discover that for everyone, the earthquake did strange things with time. It rattle and shook time until it seemed like there was nothing but the earthquake. We were trapped in the seemingly never ending world of an earth that would not stop shaking us to our very core. The intense and profound shaking began as a cautious curiosity and quickly turned into a quest for survival as we tried desperately to just survive the incredible earthquake that would haunt us for the rest of our lives. To this day, most survivors will tell you that at some strange moment while the earth was shaking, buildings were crumbling, and there was no place to hide, it seemed as though it would never stop. That it would go on and on until the earth was but a memory. The stories you'll read when you scroll up this page will give you a special look into this amazing event as you experience the 1964 Good Friday Earthquake through the eyes of the survivors. To learn more, visit the Anchorage Museum website.